Gravitational waves have not only been a new way of observing the universe through new eyes (as it is done with ultraviolet, infrared or other wavelengths outside the visible spectrum), but, thanks to relativity, they are giving to scientists and their ability to expand and expand space time new ideas about the objects that swarm the cosmos. The most interesting and to which I want to refer today is the possibility of movement of objects thanks to the fluctuations of space time. If we think and remember the Alcubierre metric in which, as a summary, it tells us that by modifying the space time we can create an area that travels faster than the speed of light and, we observe this with any other object but in smaller size we can think that the objects can move thanks to compressions and expansions in the space time (as it was predicted mathematically). Thanks to the gravitational waves we know that if, space time dilates and contracts through massive effects (for example and as it was seen, in the collision of two black holes) creating waves. This means that particles that surf on these waves move with them. 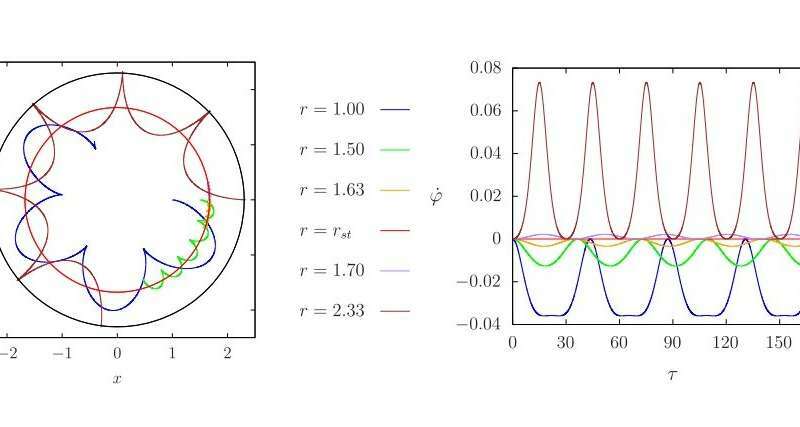 In this paper we are told how a particle does not just rotate around another object that generates and deforms space time but also can stay static in front of two points both spatially and temporally. In fact, a particle can be calm in these massive phenomena of generation of gravitational waves. The recognition of these objects can help to distinguish the different objects that generate gravitational waves in a massive way since not all are capable of generating gravitational waves in the frequency and amplitude suitable for the existence of static objects.